We offer the Sieves for Multimills to our client. Multimills are cylindrical hammer mills used mainly for milling, sizing & de-lumping. Milling depends on many factors like physical & chemical characteristics of the product, design of the machine, the design of hammers, environmental conditions & most importantly, the type of sieves used. 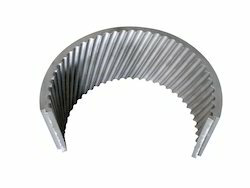 Sieve parameters like the size & shape of the aperture, pitch & thickness play a very important role in material processing. We provide the Sieve for Comminuting Mill to our customer. Multimills are cylindrical hammer mills used mainly for milling, sizing & de-lumping. Milling depends on many factors like physical & chemical characteristics of the product, design of the machine, a design of hammers, environmental conditions & most importantly, the type of sieves used. Sieve parameters like the size & shape of the aperture, pitch & thickness play a very important role in material processing. 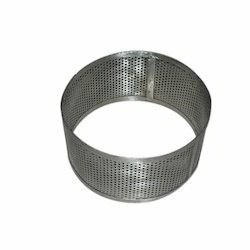 Looking for Sieves for Multimills ?